What is the Value of Handmade? If you’re reading this blog, you probably already know what the value of handmade is to you. 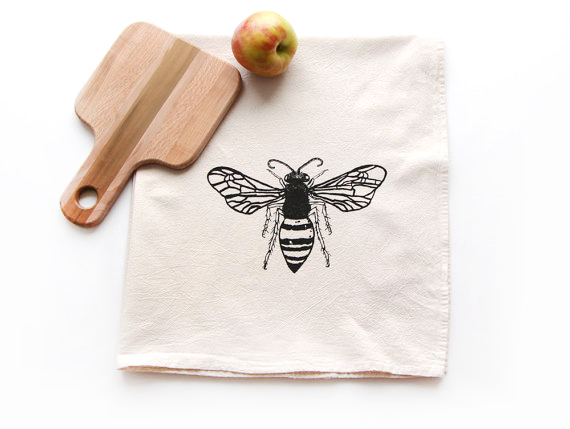 I, of course, am a bit biased—seeing as how I run a subscription company that sends handmade products monthly. However—Fair Ivy wasn’t always a handmade-only subscription. It took me some time to fully realize the value of handmade before switching the company over to being 100% handmade—even though it meant putting Fair ivy at a financial disadvantage in the subscription marketplace. So, I’m going to be completely honest with you and show you my thought process and the details behind how Fair Ivy works, ending in a summary of what the value of handmade means to us. “This better be good…” Ok brain, hold on a minute. Hear me out. The concept of going 100% handmade for our surprise subscriptions actually came straight from our customers and fans. At first we included a few handmade items here and there, somewhat on a whim. The response was pretty noticeable. Whereas certain non-handmade items would elicit a certain percentage of complaints—handmade items never did. In fact, we started receiving compliment emails (somewhat rare in the customer service arena), and the artists themselves would receive compliment emails too, straight from our customers. Perhaps it was my own desire for positive reinforcement, but naturally I wanted to make customers happy….and this seemed like a good start. “Yeah, but the costs…“ Exactly. I wish I could say I jumped in headfirst, but I didn’t. The basic fact was—as a starting subscription company, I needed to include a certain number of mass-produced, cheaper items, in order for the “retail value” of the packages to be more than what people were paying per month (this part is important in a second, just wait). It’s what the few other subscription companies at the time were doing, such as Birchbox. It makes sense: People always love a deal (myself included—while most people are relaxing on a Saturday morning, I’m usually in sweatpants doing the yard sale rounds on my bike). And handmade items cost money. Seeing as how many of our fans and customers are artists themselves, I’m sure you know this fact. Handmade artists work very hard to create their products—it takes a lot of time to produce a single piece—not to mention all the years spent honing their craft. 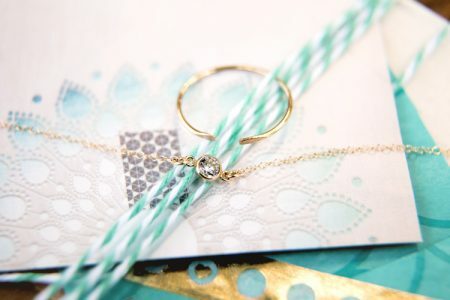 Additionally, they spend even MORE time wrapping their items and making the presentation of the product an absolute joy for others to receive and open. I would hate to rip someone like this off. They deserve to be paid a fair price for their wonderful craft and skills. As the title of this post mentions—this is all a value of handmade. But as a result…it is somewhat expensive. But little by little I did start including more handmade goods. People kept responding positively, so I kept increasing it slowly. However, it finally got to a point where I sat down with Fair Ivy’s finances and had to face the music. Profit was gone—Fair Ivy was making nothing. Literally nothing. I’m all for bringing joy to the world, but Fair Ivy was a company, not a non-profit. “Toldya so!“ I had two choices to make—go back to mass-produced, or figure out a way to make 100% handmade work for Fair Ivy financially. And you know what I chose. 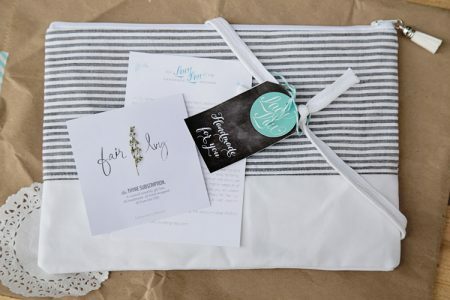 How does Fair Ivy made 100% handmade subscriptions work? I’m going to lay it straight out there: We are not a “DEAL” subscription. Whereas at some other subscription companies you may find that you pay 1/2 of what the “retail value” of the products are, and when you open it you think “Wow! What a good financial deal I got!”—here are Fair Ivy we take a different route. You’ll find the “retail value” of each of our packages is around the same price you are paying per month, sometimes just a teensy bit more. 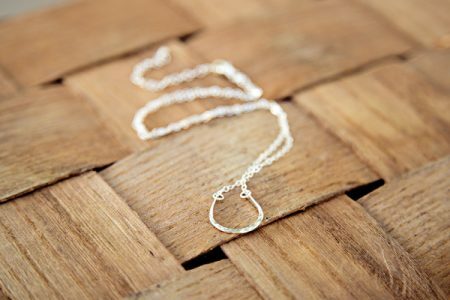 You pay the literal value of the handmade item. We like to think it’s worth it. See below. When you open a Fair Ivy package, the first thing you will notice is the care put into the gift packaging of the item. This is done 100% by the artist themselves. They choose the style and materials, and use the gift packaging as an extra way of expressing their style and for making you feel special. Also, for this reason our gift packages will never look the same. The outside shipping boxes/packages are not branded with Fair Ivy’s logo—they look more like a care package you might receive from a long-distance friend. The artist ships your gift straight from their home to yours. But the gosh darn bare bones of it is, we feel the value of handmade is in receiving a well-crafted, gorgeous product made with love and care. It just feel so extremely special. If you’ve never received a handmade gift, you’ve never lived—so go on over to Etsy and purchase one today (if you need some suggestions for great artists, just email me). So what we do is: Each month we hand-pick a single artist, and only take 100 subscribers. This is so the featured artist has time to focus and care for each and every lovely surprise package. 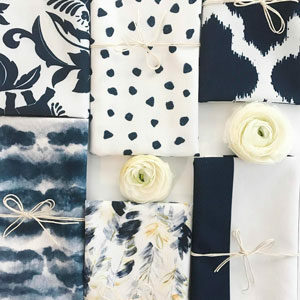 Plus, your item is one of a kind—no two are going to be exactly the same when someone hand makes them! We pay the artist a fair per-piece item for their full-sized items. Most of our artists return for second, third and fourth features, so we know that we’ve created a financially stable setup—as well as being a good, fun way to meet new customers and get to spread some surprise joy. This also means that every single one of our 100 monthly subscribers is directly supporting handmade artists and small businesses. I’d love to hear from you about what the value of handmade is to you. And handmade artists—keep up the awesome hard work, it is appreciated and loved!